Our Rental Property Accounting service is for property investors, whether you have 1 or 10 properties. With our specialist accounting knowledge and expertise, we will help you maximise your rental property returns. Your local SBA can manage your rental property financials, keep track of expenses and income, helping you claim more and pay less tax. As an investor, you’re probably wondering which expenses can and cannot be claimed. Check out our useful Property Expense Guide below by clicking on + below. Interest paid on money borrowed to finance your property. Agents’ fees and commission relating to the rental of the property. Repairs and maintenance (except if they substantially improve the property). Motor vehicle and travel expenses. Legal fees for arranging the mortgage or finance to buy the property from the 2010 income year and beyond. Accounting fees for the preparation of accounts. Depreciation on the building prior to the 2011-2012 income year. An allowance for a home office if you manage the properties yourself. The purchase price of a rental property. The capital part of any mortgage repayment(s) – “principal”. Interest on money which you borrow for some purpose other than financing the rental property, even if you use the rental property to secure such a loan. Repairs and maintenance that go beyond replacement and are in fact improvements to the property. Real estate agent’s fees incurred as part of buying or selling the property. Additions or improvements to the property. Depreciation on the building after the 2011-2012 income year. 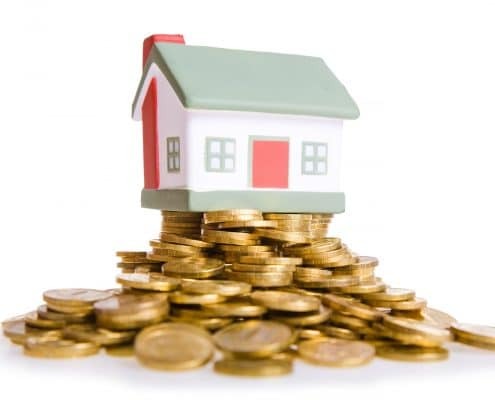 How profitable is your rental property? Calculate your gross rental yield using our calculator. *Our Rental Yield calculator provides an indicative estimate only and does not take into account expenses incurred on your rental investments. We’re looking to buy another property and build a portfolio. We couldn’t have done it without the support of SBA. Read more. SBA is always supportive, responds quickly and always follows through, something we just didn’t get from a previous big accounting firm. Read more. Luckily we sat down with the team at SBA and they told us everything we needed to know. Read more.